This week the European Tour is in Scotland for one of my favourite events of the year, the Alfred Dunhill Links Championship. As usual, the field is a strong one that sees some of the best golfers in the world compete against one another and they will certainly attract big crowds. The likes of Louis Oosthuizen, Brooks Koepka, Branden Grace, Martin Kaymer, Shane Lowry, Lee Westwood, Luke Donald and Graeme McDowell will be teeing it up in Scotland this week. 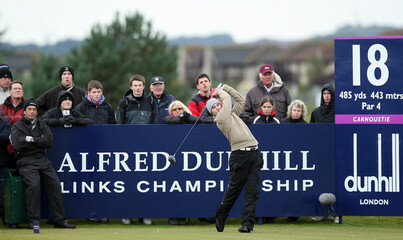 The Alfred Dunhill Links Championship takes place on three different courses, St. Andrews, Carnoustie and Kingsbarns. From Thursday to Saturday, each player will play each venue once and the cut will be made, then the remaining players will compete for the trophy at St. Andrews on Sunday. All three of the golf courses in use this week are links venues, therefore form on links courses is essential ahead of this week. 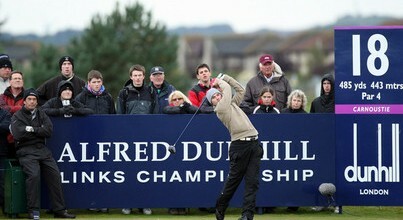 Take a look at the past winners of this event, they have all proved to be excellent golfers in links conditions. Finally, you’ll also notice that the scoring has been very low from 2010 to present and that’ll be the case again this year and the courses are usually set up very easy. Martin Kaymer – I have to have Martin Kaymer on side this week, he’s a world class player and finished 2nd in his most recent outing, this indicating his game’s in good shape. The German is an eleven time winner on the European Tour and this includes two major championships and the WGC HSBC Champions, he certainly has the quality to win at this level. Interestingly, Kaymer won this event in 2010 and has finished inside the top 15 on three other occasions, therefore it is clearly a tournament he enjoys. Danny Willett – Three time European Tour winner, Danny Willett is generously priced this week in my opinion. It wasn’t so long ago he won the Omega European Masters and in his most recent start, he finished 3rd in the Italian Open, this indicating his games in good shape. Willett has proved over the years that he’s a decent links golfer and he has a pretty good record in this event. He finished 5th in 2012 and was a runner up in 2010, therefore he’s more than capable of winning around the three tracks in use this week. David Howell – My final selection of the week, but by no means my worst is David Howell. He has had a great season, thus far and he can top it off with a victory. He’s finished as the runner up on three occasions and has also recorded two other top 10 finishes. The Englishman comes into this event in decent form, he finished 25th two weeks ago in the Italian Open and the week before 12th in the KLM Open. Finally, Howell won this tournament in 2013 and he’s finished inside the top 15 on four occasions, this indicating that he really likes this event which is obviously advantageous.